Safety First: Park West is a “walking school”. Everyone who attends this school lives within walking distance. However, many parents choose to drive their children to school. We have 800 students attending our school on a daily basis, so this creates a lot of vehicle congestion on our grounds. We have one access point to our school grounds. 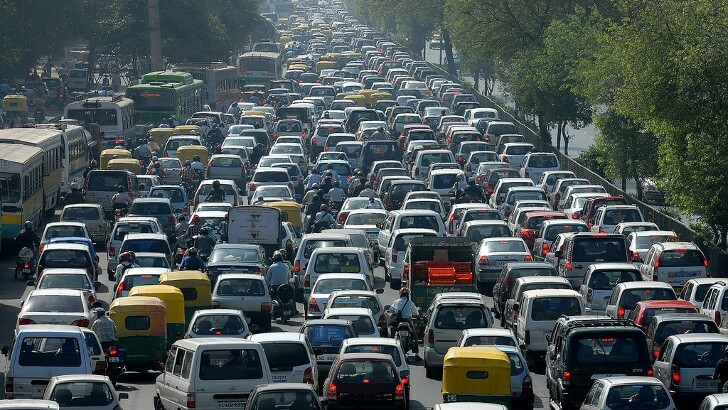 With that much traffic all heading to the same destination in a confined area there will undoubtedly be congestion issues at certain times during the school day. Drivers/parents must realize this and be prepared for delays, and exercise caution and patience. However, this does not excuse our students for being late for school. When the weather is inclement (rain or snow) or road conditions are not ideal (ice and snow creating slippery driving conditions) the situation worsens. Several years ago we created safety guidelines for those who drive vehicles on our school grounds. They were created to ensure our students and staff are safe, and to minimize traffic congestion. These have been widely publicized to our parents and community. This past summer we also installed improved signage and pavement markings. •No parking in the traffic loop, except in the designated visitor parking spots. •No parking in Fire Lanes. •A “Drop Off” zone is provided in the traffic loop for a QUICK drop-off or pick-up of students. Do not stay stopped or parked in the Drop Off zone. Move to the front of the Drop Off zone as far as possible when dropping off or picking up. •Drop off and pick up students at curbside in the Drop Off zone, not in the middle of the traffic loop. •Drive slowly. The maximum speed posted is 15 km per hour. •Be aware of the marked cross walks. Stop when necessary for pedestrians to cross. •Do not park in or drive through the staff parking lot. •Visitor parking is available at the south end of the building (adjacent to the garbage compound). •School buses always have the right-of-way in the traffic loop. At no time should vehicles impede the movement and parking of school buses on school property. Unfortunately, some drivers (and parents) do not feel these guidelines apply to them, and jeopardize the safety of students, and others, and compromise the orderly operation of our school. Some parent drivers still choose to ignore these guidelines (including traffic signs and speed limits) which have been implemented to protect their children, and others. Some parent drivers have chosen to argue with and verbally assault school personnel who have attempted to address safety concerns on our grounds. When school personnel (i.e. principal, vice principal, teacher, staff member) are outside directing traffic, monitoring, and enforcing our safety guidelines please be respectful; do not abuse them. If you are speeding (driving over 15 km/hour), parked in the Drop-Off zone, parked in fire lanes, blocking school buses and entrances to parking lots, driving through or parked in the staff parking lot, then you may be approached by school personnel. They are only trying to keep everyone safe, and prevent traffic congestion. Those being kept safe are your children.